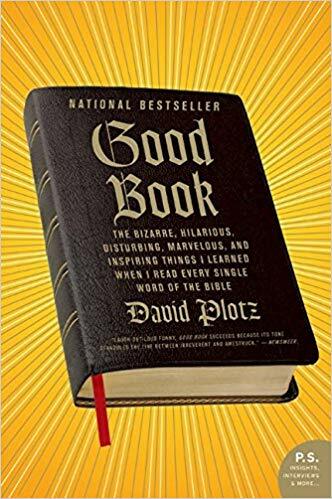 David Plotz's Good Book: The bizarre, hilarious, disturbing, marvelous, and inspiring things I learned when I read every single word of the Bible (2009) puts the Old Testament (OT) under his microscope, knowing virtually zip about the religion, not practicing, nor forced to go to Saturday Hebrew school. Locke's 'blank slate', sort of. But he's not at all happy with the God the OT reveals. "I leave the bible as a hopeless and angry agnostic. I'm brokenhearted about God. God made me rational so I must use the tools to think about him. Submit him to rational and moral inquiry. And he fails that examination. The history of Judaism is an effort to grapple with the bible's horror." Wow. But i'm sure Netanyahu is nonetheless delighted with Plotz. The zionists from the start wanted to dump the religion. Ben Gurion et al were atheists and saw Judaism as a harmful, the negative legacy of 'the Jews'. Think of zionism as extreme liberalism. Succeeding minority governments give token power to the ornery Orthodox parties, but hold their noses. They need them for legitimacy as a religious state. No country except Israel recognizes Jewish as an ethnicity in the census, not even the US. And neither the US nor Canada 'do' religion in the census anymore. What is a poor atheist to do? Suddenly, the old archetype of the 'wandering Jew' becomes important as a way to establish this slippery ethnic label. But no! Jews no longer need to wander. They can make aliyah and go to Israel, the Jewish state. So agnostic Plotz is forced to turn to the Bible. What about the 'proof' that God gave ' the Jews' Jerusalem etc.? Plotz finds that in Genesis, Jeremiah and Nehemiah, there are promises of land to Abraham at least four times, each time with different boundaries. The only mention of an 'Arab' is in Nehemiah, when Geshen is told "you have no share or claim or historic right in Jerusalem." So how to get it? In their conquests, in Deuteronomy, the tactics are laid out: a city about to be invaded is offered the chance to surrender and be enslaved, or annihilated and women/ children taken as booty. That's what Joshua told the Canaanites when the Jews decided to invade and take their 'promised land'. To quote the famous judophobe Henry Ford: you can have any colour you like, as long as it's black. A special deal for any non-Jewish city in the promised land: annihilation only. I.e., very black. But not to worry, fruit trees should be spared. Plotz analyzes the biblical heroes. Abraham, Rebekah, Jacob get what they want because they finagle, cajole, argue, deceive, play mind games, misuse God to advance their lies. Isaac is almost sacrificed, tricked by Jacob and Rebekah twice. He is the accidental patriarch. A bit of a putz, like Moses's brother Aaron, a very lax (cowardly?) 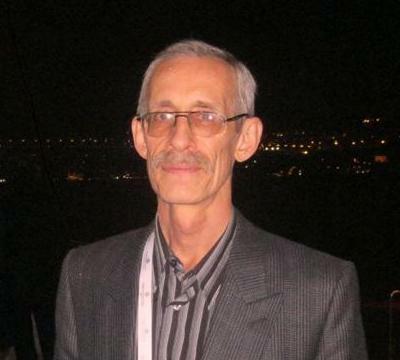 priest, who shrugs off the golden-calf feasting, and was let off the hook. Jeremiah is a favourite. Though all gloom and doom, he is the template for the Jewish character traits that have made the tribe the longest surviving and wildly successful star of world society today. He was the priest under the Babylonians, and ordered his flock to submit. This is the key to the success of Jews in diaspora (adaptable, cultured, flexible), but in its incarnation as Judenrat,* a bit of a problem. As they were getting ready for the gloom and doom exile, Jeremiah promised his flock they would someday return, that old contracts and land arrangements would apply "when Jews return to Zion." This is the clearest land deal (no lavish boundaries from Iraq to Egypt). The most 'historical' one, unlike the legendary Noahide covenant, with Abraham as stand-in for the human race, or the conquest of promised land after the exodus, that whole episode at best a jolly good yarn. But, of course, this is all 'angels on the head of a pin' stuff. The entire OT is a long, complicated pseudo-history, jam-packed with one genocide after another. Junk sculpture, according to Professor Emeritus in the Bible Department at Bar Ilan University and the Harry M. Starr Professor Emeritus of Classical and Modern Hebrew Literature at Harvard James Kugel (the Professor of Disbelief). Bits and pieces cobbled together in a postmodern pastiche. A bit like the state of Israel.